A first impression is an important statement, and it’s one that we usually want to be memorable for good reasons, not bad. Since there is really only one chance to make a first impression, it’s important to be prepared for that first impression by understanding what people are looking for. When it comes to your home, you really only get one chance to leave people feeling great about your house. While there are plenty of things that go into this, one of the most notable features is going to be your front door. Not only is this the place that guests enter your home, but it is easily the first thing that they’ll look for upon arrival. The best way to ensure that the first thing they search for is something that will leave them feeling great is by spending some extra time working on this space. 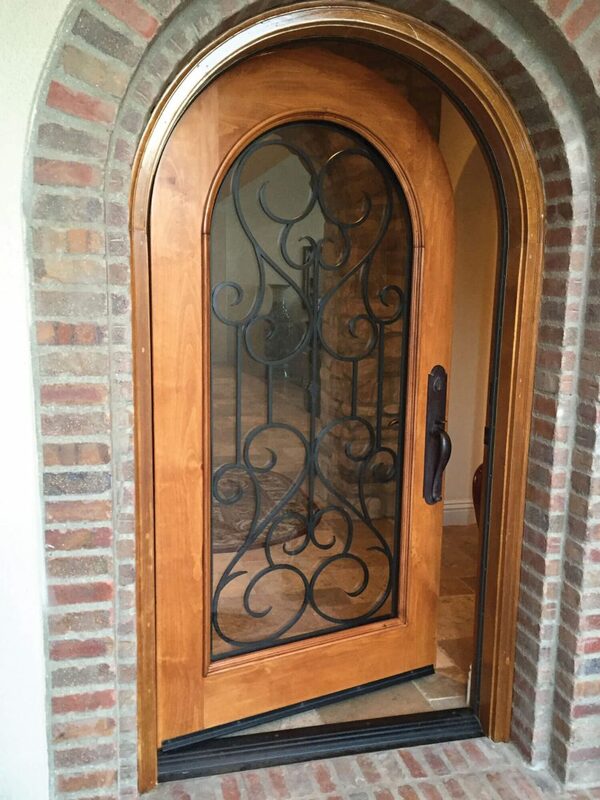 At Your Door, Our Glass, you’ll see just how intricate and personal your front door can become. And while we see the value in the investment, there are plenty of people that believe their money is spent better in other home improvement projects. However, here are a few of the reasons why you should definitely consider investing in a door makeover. If you’re looking to sell your house or even refinance, replacing your front door could contribute more than you are giving it credit for. Your front door, as we mentioned prior, is the first impression of your home. This means that when interested buyers are making their way to a showing, this is the very first thing that they see, and if it isn’t something that is going to knock them off their feet, there’s a good chance that the rest of the home won’t be as aesthetically pleasing, regardless of what it looks like on the inside. Now, you can’t go entirely off and do whatever you’d like with your door, unless HOA isn’t a thing that you have to worry about. However, this is a great opportunity to add a personal touch to your home. Whether it be through a fun color on the exterior, a different type of wood or one of our gorgeous glass door designs, you can guarantee that your house is not going to be defined as a cookie cutter house; it will have it’s own creative touch to separate it from the rest. The best way to look at this is to consider the exterior of your home the wrapping paper that contains the present that is your home. Make sure that your home is looking as great it can with the help of our team and our gorgeous frosted glass doors or another one of the glass door designs that we carry. Stop by and see all of the options that we have so you can pick the perfect fit for your home so that you can ensure that every impression from here on out is a great one.